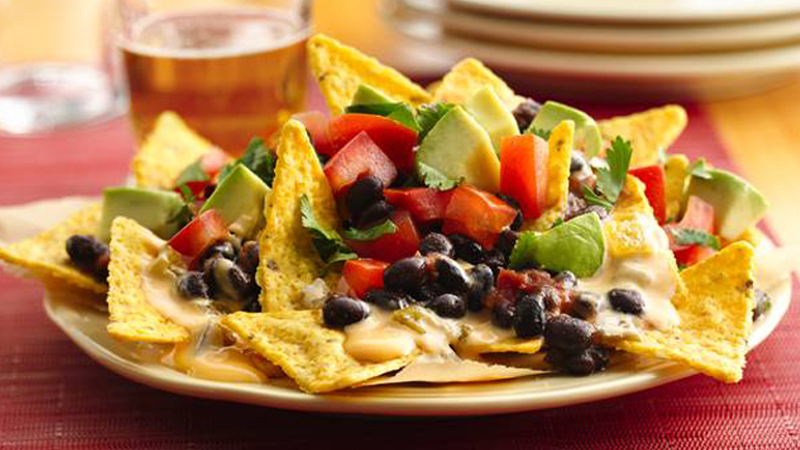 Nachos smothered a hot cheese and lager sauce – they are sure to be a hit at any party. 1. Preheat the oven to 200ºC (180ºC for fan assisted ovens), gas mark 6. Line a large baking sheet with foil and lightly grease the foil. Spread the tortilla chips on the baking sheet. Bake for 5 minutes until warm. 2. Meanwhile in a medium saucepan gently heat the lager to simmering point. Slowly add the cheeses in small amounts, whisking continuously, until the cheeses have melted. 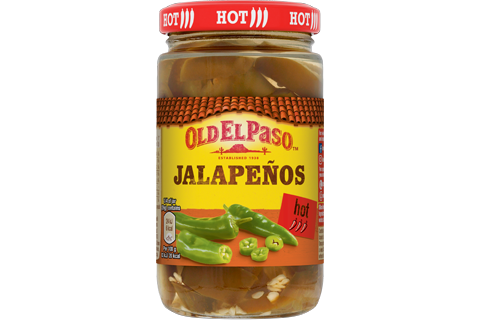 Stir in the jalapeños. 3. Mix the beans and salsa in a microwave-proof bowl and microwave on High for 1-2 minutes until hot. 4. To serve, arrange the warm tortillas on a large serving platter or individual plates. Spoon over half the cheese sauce then top with half the bean mixture. Top with remaining sauce and bean mixture. Scatter over the avocado, tomatoes and coriander and serve immediately. • Garnish with some shredded red chilli for extra heat. • Serve with extra salsa and soured cream.